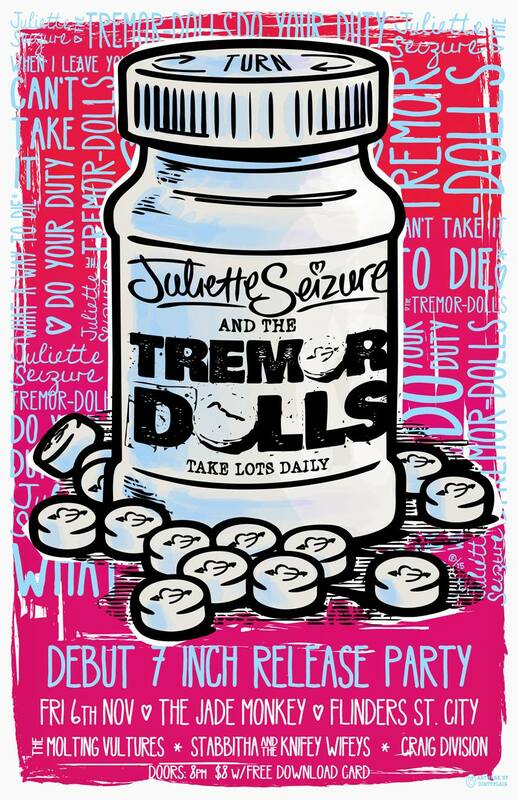 Juliette Seizure And The Tremor-Dolls have one of the coolest names going in the Adelaide scene at the moment (along with Stabbitha and the Knifey Wifeys who are also playing too! ), and luckily their music is just as good. The 6 piece are launching their debut EP at The Jade this friday night, along with The Molting Vultures and Craig Division – and for the $8 entry you get a download card for the new EP. They’ll also have mercy available on the night. Make sure you head on down… Now to the gigs for the week.